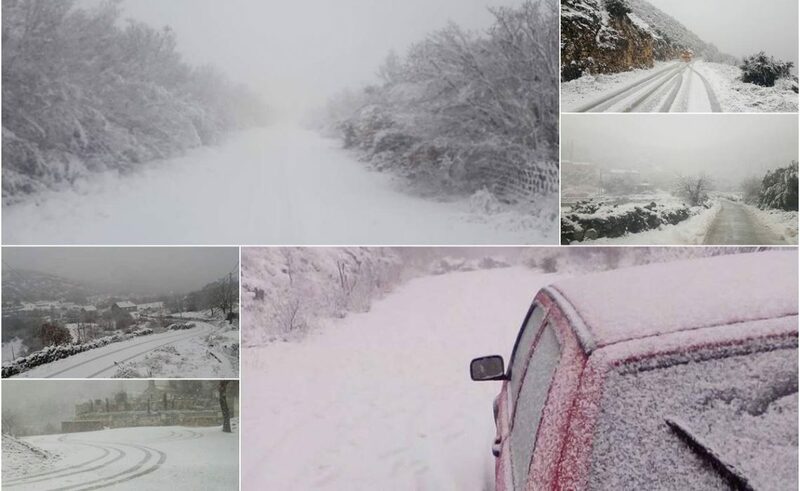 Video & Photo Gallery: Snow, Snow Everywhere! This morning, Dubrovnik and its surrounding woke up with extremely bad weather! Snow and cold wind with rain were captured by our readers’ cameras. There were some short videos filmed as well, and we bring you photo gallery and accompanying videos. Bad weather will last until the end of this week, so prepare yourself for this very unusual weather conditions for our part of the country. Due to the bad weather, all flights arriving and departing from Dubrovnik Airport are being redirected to Split, and the ‘Dr. Franjo Tuđman’ bridge is closed as well for Group I vehicles, all double-decker buses, cars with caravans and motorcycles. same is true for arrivals’ said the duty dispatcher for local newspaper DuList. According to information from the Port Authority, Dubrovnik ferries and catamarans are running according timetables.